Being an only child has a lot of perks but you know how the grass is always greener on the other side – well that is exactly the same for me. My entire childhood, I longed for a sibling but sadly I’m now 22 and still nothing. It had the repercussions of a lot of adult company but not much interaction with kids my own age. To this day in fact I tend to get on with people who are older than me. But what has all of this got to do with our latest blog post? Well last week we visited the Ilwien Childcare Centre and it really got me thinking. This centre would have been my idea of a haven having all those toys and kids to play with. It also would have taught me that sharing is actually ok (another result of being an only child). MUHC has recently involved itself in the consultancy of the University Childcare Centres. It- Tajra is situated on campus whereas Ilwien is based at Junior College in Msida. Our first step after this move was to get to know the centres better by visiting them. Last Friday, always up for a change in scenery, I was extremely excited to get the chance to check out Ilwien with my colleague Alexia. Before last month I had no idea about this place; in fact it took us a while to actually find it. Junior College and its surroundings is usually an area I would associate with crowds and clutter, hardly the place you would expect a childcare centre to be situated. On the contrary the first thing that hit me, on entering the centre’s grounds, was the serenity of the location. Check out the epic outdoor playground. Ilwien means colours and it truly is a good description for the venue both externally and also its interior. 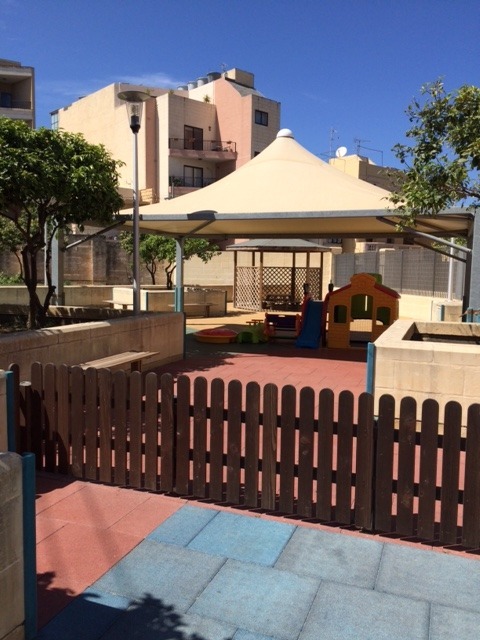 The kids there seem to really enjoy their days; they have various play areas for activities such as arts & crafts, storytelling, cookery etc as well as a quiet room for afternoon naps. The staff there were also extremely friendly and seemed as though they truly enjoy their job. All in all, I was highly impressed with Ilwien and what it has to offer. Want the perfect experience for your kids this summer? Check out the Kids On Campus Summer School, registrations are opening soon.